You are here: Home > What is the Encyclopedia of British Columbia? 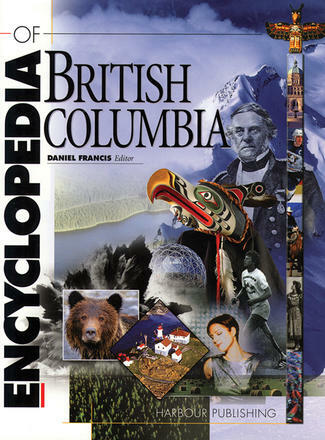 What is the Encyclopedia of British Columbia? EBC is the definitive reference work on BC. With more than 4,000 entries and 1,500 accompanying photographs, maps, charts and tables, as well as sound and video clips, EBC is the source of readable and authoritative information on all the significant BC people, places and things. Originally a bestselling 824-page book, the Encyclopedia of BC is now available exclusively online, allowing for easy access to continually updated information and an expanding database of articles. With thousands of linked cross-references, a complete index, and sophisticated data searching capabilities, the EBC is indispensable at home, at school, in the office—everywhere comprehensive, authoritative, concise information about BC is needed.